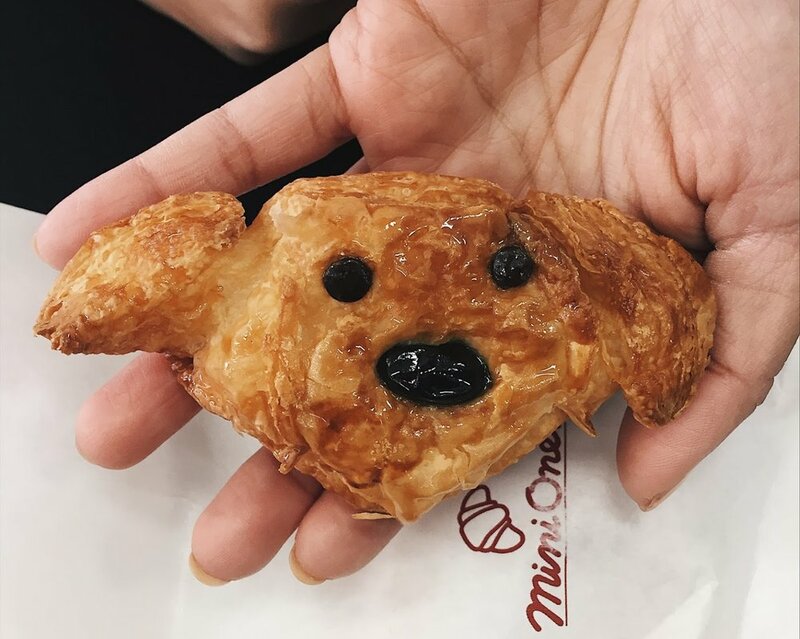 2018 marks the year of the DOG here in Japan...so as you could imagine, there are dog things E V E R Y W H E R E. And I mean..dog towels, dog candy, dog pens, dog stickers, dog bags, dog characters...and this extremely adorable and accurate DOG CROISSANT!!! How brilliant, right!?? BELIEVE: verb. except that something is true, especially without proof. I was a little worried the students would have a hard time thinking of word for this activity...but it was silly of me to doubt them because they came up with some incredible words!! A few of my favorites : MAXIMUM, FRESH, ACCEPTANCE, INNOVATIVE, and BEST. I had them write the English definition and a few sentences on why they chose their word. It turned out to be a great activity!! On Jan 14th, my good friend Liane, invited me to the annual "DONDONYAKI" festival near her house. 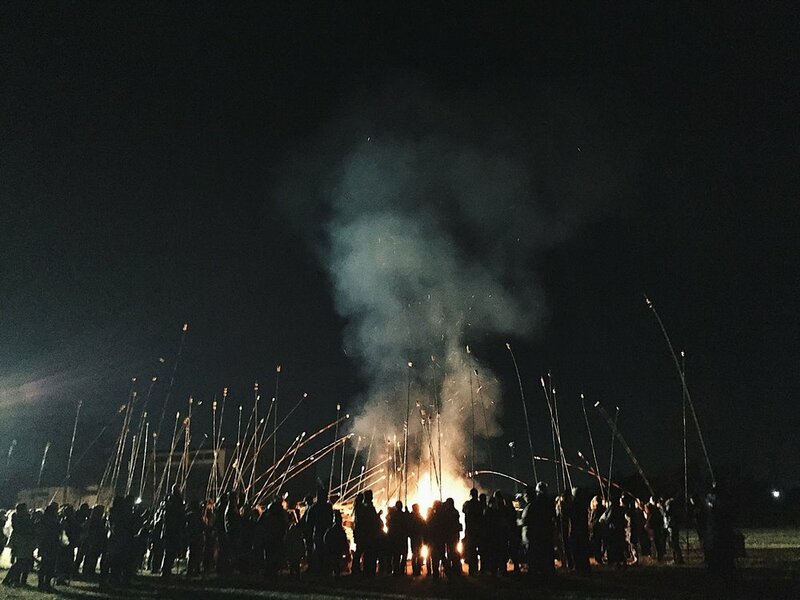 This is a rare festival that usually only happens in the countryside and you will so realize why. Everyone gathers their new years decorations to make a huge fire and then ignite said fire to roast mochi over!! It is crazyyyyy and so cool seeing everyone carry things huge bamboo sticks with mochi at the end. It's always freezing out there...but it always feel so blessed to experience something like that! 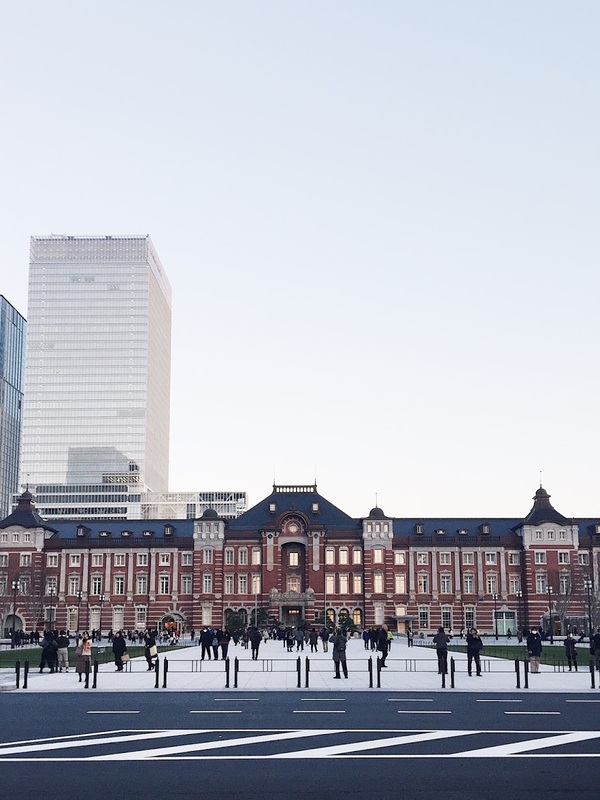 Construction at Tokyo station finally finished and it is lookin BEAUTIFUL!! I headed there this past weekend to meet up with my good friend Ayaka and her bf to have dinner. We met near Tokyo station so I made sure to stop by and snap a few shots. Also...the weather has been cold but not too bad (i'm saying this as I sit in my cozy heated apartment under my heated kotatsu lol) and I have to admit that the one good thing about winter is - the clothes. 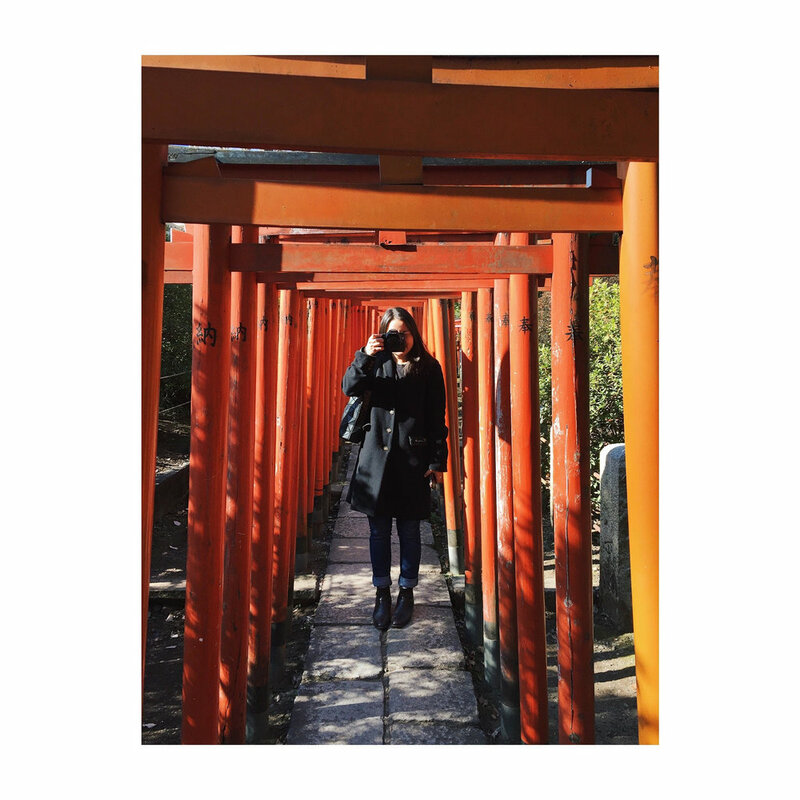 I've learned to love wearing boots and coats because they totally add a layer of fun to my wardrobe! I had to participate in the senior farewell video and, of course, embarrass myself along with other teachers while acting out a famous scene from a Japanese comedian (ブルゾンちえみ), haha! Also... how incredible are is this practice paper from one of my students?? Japanese kids have the most beautiful penmanship. A big part of my job here in Japan is to be a member of Kashiwa International Relations Association (KIRA) and this was from our New Year's party. This is specifically the Torrance committee, all amazing people who organize the sister-city exchange program between Torrance and Kashiwa. Most of them will be traveling to Torrance in Feb to visit for a week!! I am blessed to work along side this great, friendly bunch! And last but not least...a few snaps from last weeks Nomikai (drinking party) with all of the 2nd year teachers. We went to this incredible Japanese restaurant where 95% of the food was inedible to me (seafood..blahh) but the atmosphere was 100% FUN!! We were served a beautiful array of dishes and also the tiniest cup of green tea to top off the meal (left photo). I loved chatting with my coworkers in a more relaxed environment! It was a great way to start the new year. welp...that's just a bit of what's been happening since i've been back! I gotta stay...life is good!